“Gertrude, are you ready for the ball yet?” Her husband, Cedric, adjusted his tie. “Cedric, of course I’m ready. I’m so excited about going to the ball. To think we’re going to the Royal Scotsman Hotel. I’ve always wanted to go there. 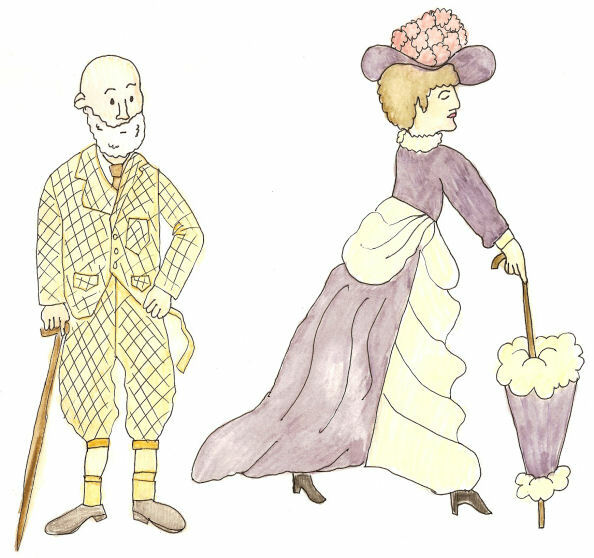 I do hope Jeems has the car ready.” Gertrude searched the closet for her parasol. “The car won’t start, Sir. 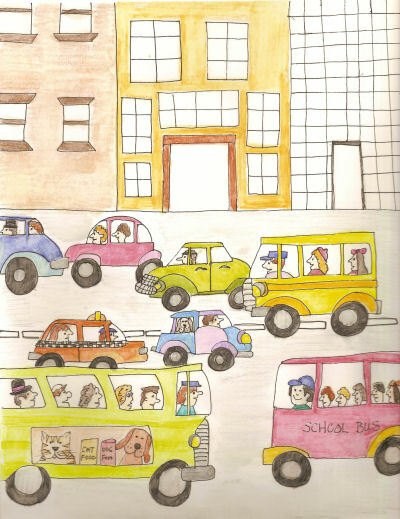 I’m afraid you’ll have to call a taxi.” Jeems sighed. “Very well then. We’ll take the bus.” Cedric locked the door behind them and they strolled to the bus stop. When it pulled up they climbed on board. They sat in the front seat. “Oh, Cedric. This is appalling. This bus smells horrid.” Gertrude groaned. They drove through the town, bumping up and down, stopping at every corner. When a man walked past wearing dirty clothes, Gertrude nearly fainted. Gertrude sighed with relief and the two of them went into the hotel. That night they had a grand time dancing and sipping champagne. Much to her relief, when it was time to leave, Jeems had fixed the car and was able to pick them up!